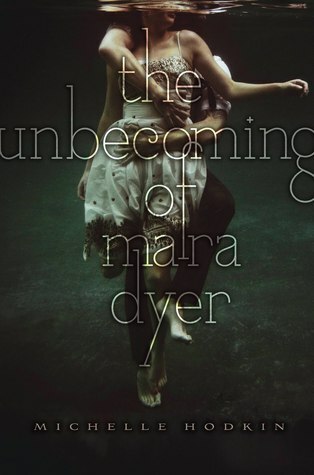 Ever since we read the beginning of Michelle Hodkin's The Unbecoming of Mara Dyer, "My name is not Mara Dyer," we've been wondering who exactly Mara Amitra Dyer is. We've seen her unbecoming and her evolution and now, in just over a month, her retribution is here. And so it is time for #MarasRetribution. 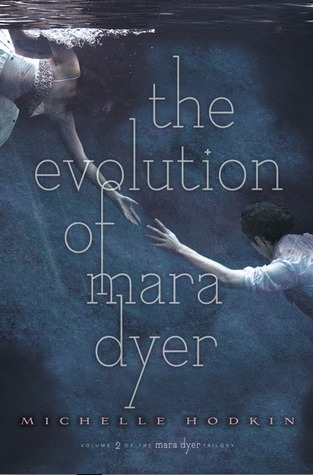 Myself, along with Stacee from Adventures of a Book Junkie, Danielle from Love at First Page, and Katie from Polished Page-Turners, will be hosting a sixish week long readalong of all three books in Michelle Hodkin's trilogy: The Unbecoming of Mara Dyer, The Evolution of Mara Dyer, and The Retribution of Mara Dyer. This readalong is for anyone: whether you're new to the series or here for a reread, join the insane fun! For six week books we'll be talking the books, having giveaways, and waiting to finally learn what in the hell Mara's retribution is. So, details! Reading Dates: Thursday, October 4, to Saturday, October 18. Please link up your discussion post, review, etc., by Sunday, November 2. There will be a Twitter chat at #MarasRetribution on October 19, and one tweeter will win a copy of the book! Reading Dates: Sunday, October 19, to Sunday, November 2. Please link up your discussion post, review, etc., by Friday, November 21. There will be a Twitter chat at #MarasRetribution on November 2, and one tweeter will win a copy of the book! Reading Dates: Tuesday, November 4, to Friday, November 21. Please link up your discussion post, review, etc., by Sunday, November 23. There will be a Twitter chat at #MarasRetribution on November 23, and one tweeter will win a copy of the book--and the winner of the grand giveaway will be chosen! If you scroll to the bottom of this post, you'll see a Rafflecopter. There's a mandatory entry for your initial post--you know, the one where you link up to us hosts, say you're going to do the readalong, and all that jazz. If you want to be entered in the grand giveaway--all three books in the Mara Dyer trilogy to one lucky person!--that's your entrance. Just put your link to where you put your initial post below or on any of the four blogs that are part of #MarasRetribution and you're in! Oh! And did I mention these giveaways are international? Because they are! And in case any of the above got lost in translation, we're giving away six books total. So you'll probably want to join in all of this! A quick recap and fine print: the readalong starts October 4 and ends November 23. There will be four giveaways: three with each Twitter chat (entrance: tweeting under the hashtag #MarasRetribution and participating in the readalong) and one overall giveaway (entrance: Rafflecopter), and all are international. Discussion posts can be anything: a discussion, review, quotes, etc., but please mark spoilers throughout this readalong because not everyone participating--or seeing what you post--has read the books. For now I think that's it. Rush to your bookstore, library, or bookshelf and be prepared. #MarasRetribution is coming. We're going to finally find out what the hell Mara's retribution is. (Or will we?) And it's going to be one crazy ride. -No shady entries or cheaters; we have the right to disqualify entries that seem to do so. -None of the people associated with this readalong and giveaway are responsible for lost, stolen, or damaged prizes. -Winners will be emailed and have 48 hours to respond, or else a new winner will be chosen. I just included Unbecoming in my scary reads video because I wanna read the series, I'm definitely joining! Hhhm I'm going to say Jamie (though Mara is so fearless she's 2nd fav) He's such a good friend to Mara; he's supportive, brutally honest when Mara needs it, and he wants what's best for her. It's impressive how he sticks with her, especially when Susan leaves. I only found this today- is it too late for me to do an Unbecoming post entry since it's after 11/2?